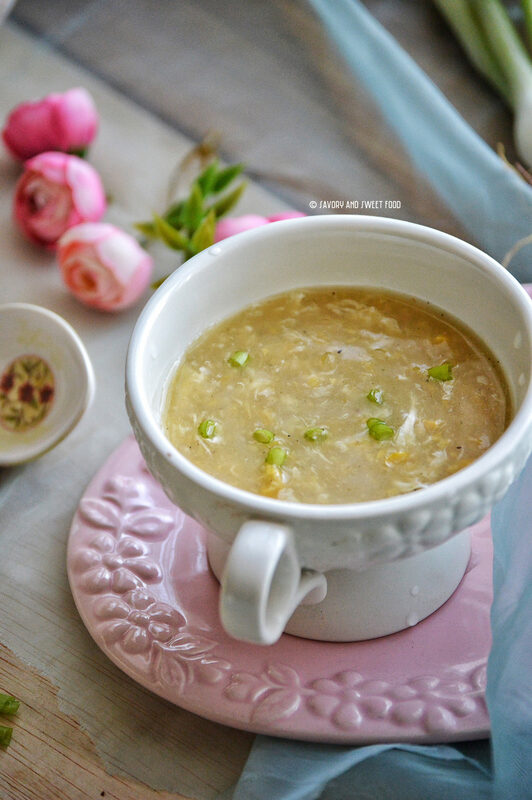 Sweet Corn Chicken Soup is a light and creamy soup made with creamed sweet corn, chicken stock and egg white drop. This is a classic soup which I guess most of you love. This has been one of the most requested recipes. So I thought its high time I post it now. So in between all these elaborate cooking I wanted to have something comforting. 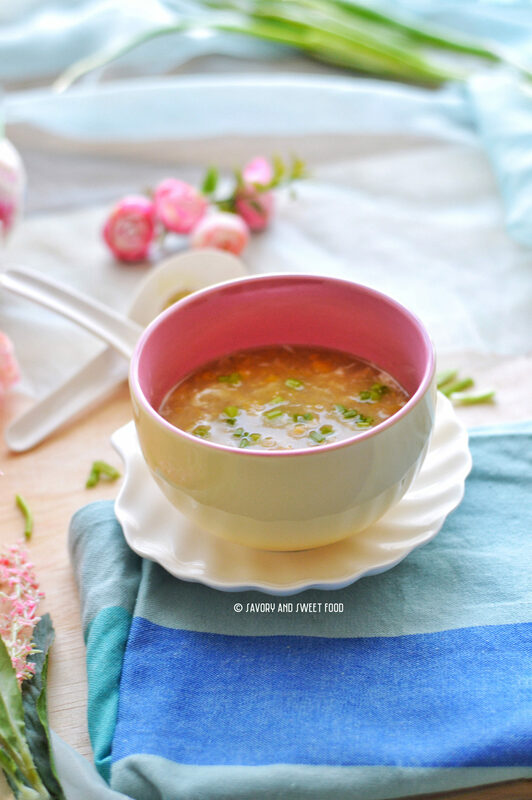 So I thought of making this super simple soup and I was so glad that I did. It was exactly what I needed. 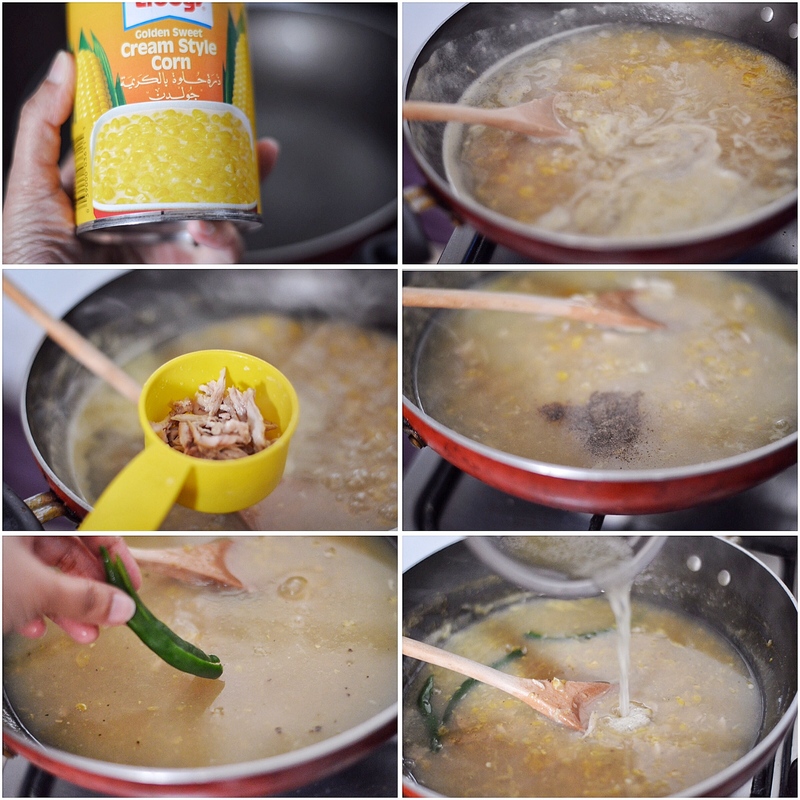 So everybody who wanted the recipe of sweet corn chicken soup, here it is. Hope you all will like it. I added green chillies as I like my soup spicy. You can omit it if you don’t want that heat in your soup. If you don’t like the flavour of white pepper, you can add black pepper too. 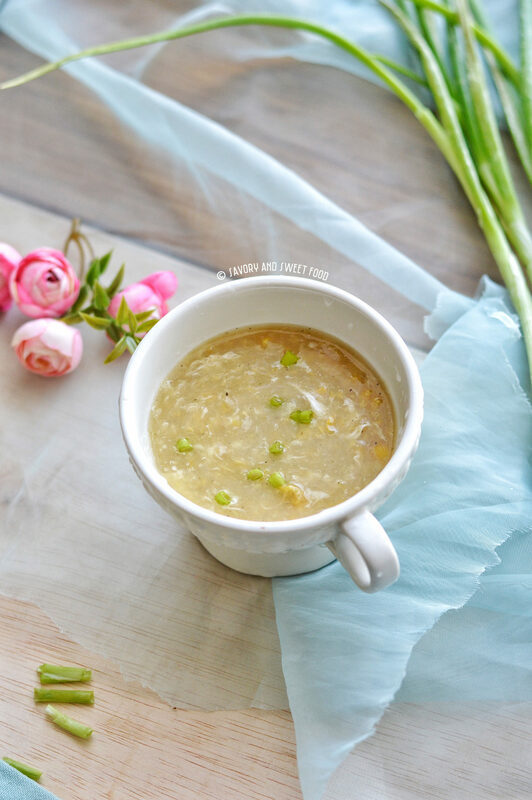 Place water, stock, creamed corn, soy sauce, vinegar, ginger, garlic, and corn flour over high heat. Bring it to a boil. Add in the green chillies. Then turn down the heat to medium and cook till it thickens stirring occasionally. It may take about 15 minutes. Turn off the heat and pour in whisked egg into the soup stirring immediately. 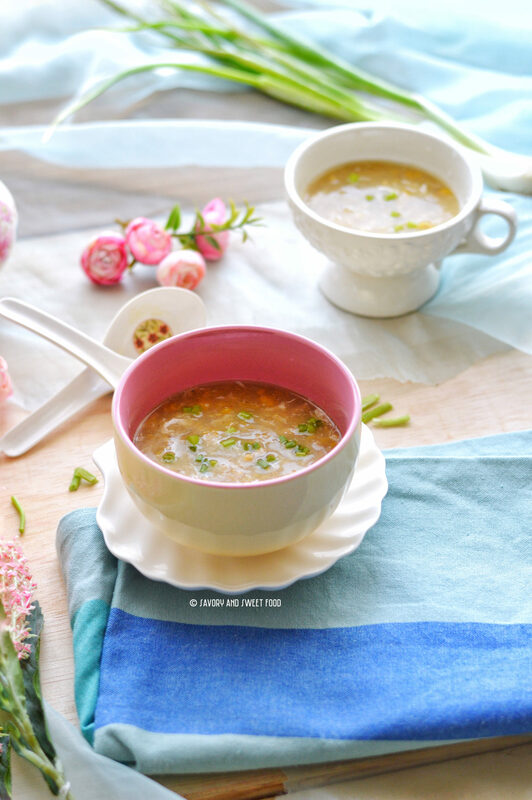 It has to cook in ribbons throughout the soup. Add in the shredded chicken, season with white pepper and serve. 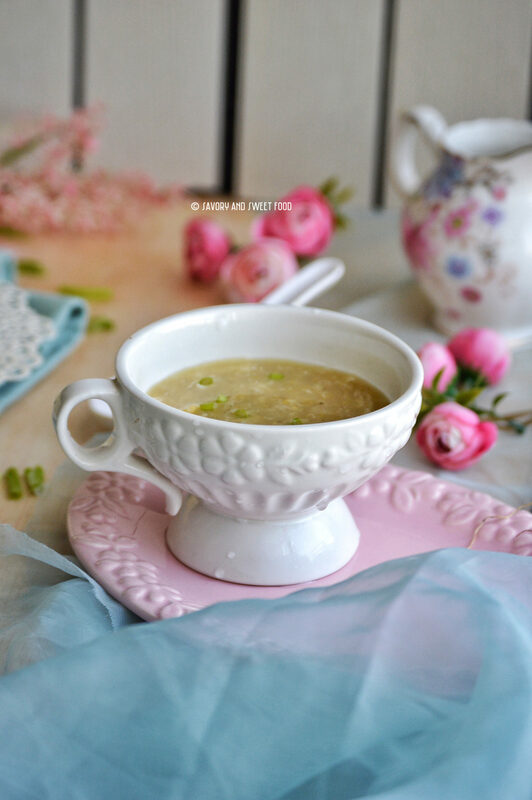 A light and creamy soup made with creamed sweet corn, chicken stock and egg white drop. Place water, stock, creamed corn, soy sauce, vinegar, ginger, garlic, and corn flour oner high heat. Same here, thats the best part. 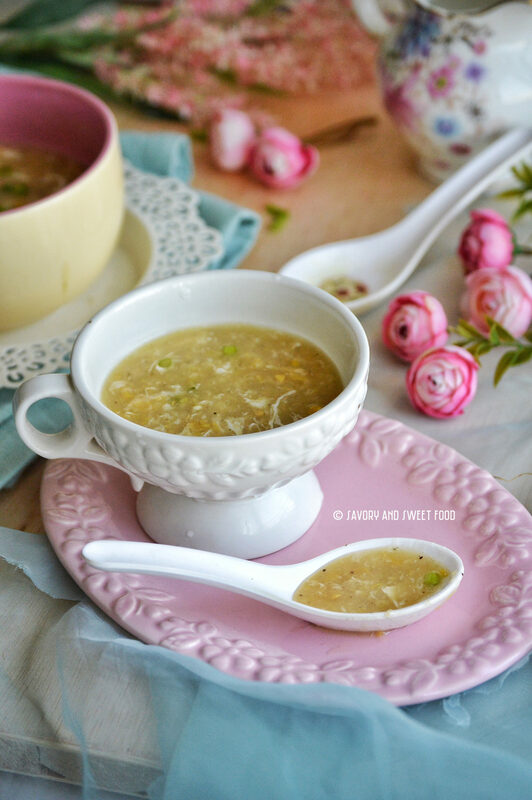 Finally I’ve found the best recipe for chicken corn soup! I was searching for easy dessert recipes for Eid. Not only did I find many of those but also, loved so mamy other recipes!